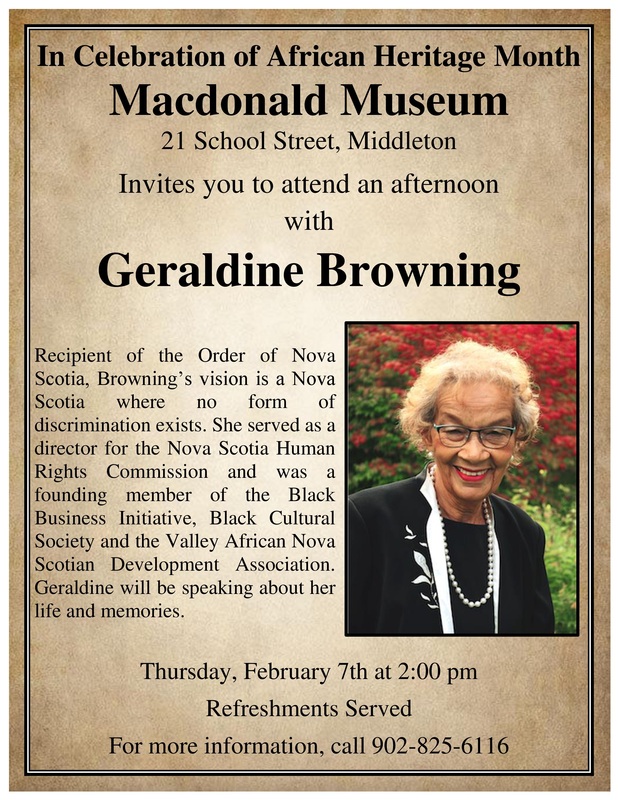 Geraldine Browning will be speaking at Macdonald Museum in Middleton on February 7th at 2pm. Recipient of the Order of Nova Scotia, Browning’s vision is a Nova Scotia where no form of discrimination exists. 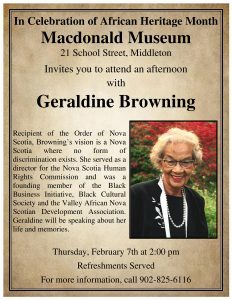 She served as a director for the Nova Scotia Human rights Commission and was a founding member of the Black Business Initiative, Black Cultural Society and the Valley African Nova Scotian Development Association. Geraldine will be speaking about her life and memories. Refreshments served.